FARM KING BAT RAKES ARE DESIGNED TO HANDLE ANY KIND OF HAY CROP IN ANY CONDITION. The Farm King Bat Rake is engineered to maintain your crops nutritional value while continuing to be aggressive and pick up matted crops. 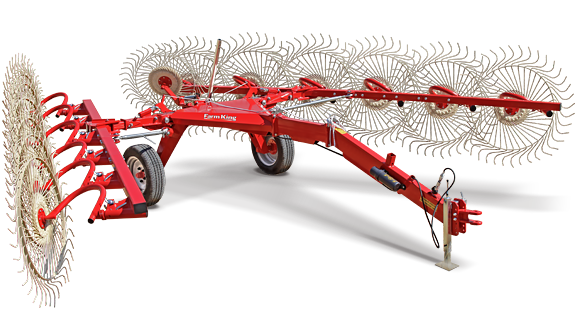 Available in 8, 10, and 12 wheel configurations there is a Farm King Bat Rake to suit your needs.